According to Jewish tradition, the original temple menorah was made of gold, almond-blossom-shaped cups. This modern riff on that design inspiration sets an array of almond blossoms in a shallow pool of water. The pool both reflects the candlelight, and provides a dramatic and safe way for the candles to sizzle out as they burn down. 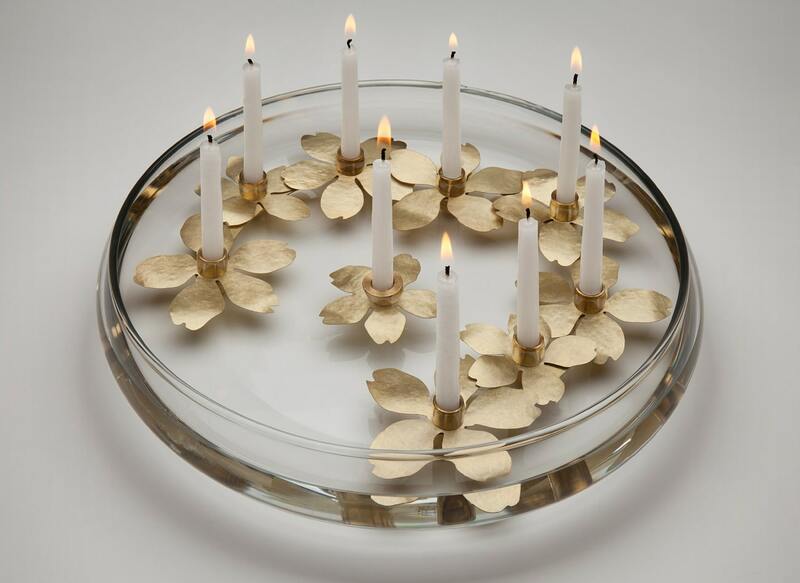 It makes a lovely centerpiece which will enchant your guests at Hanukah and beyond! Available from this website, The Spertus Shop, and Celebrations the Jewish Museum Design Shop, NYC. 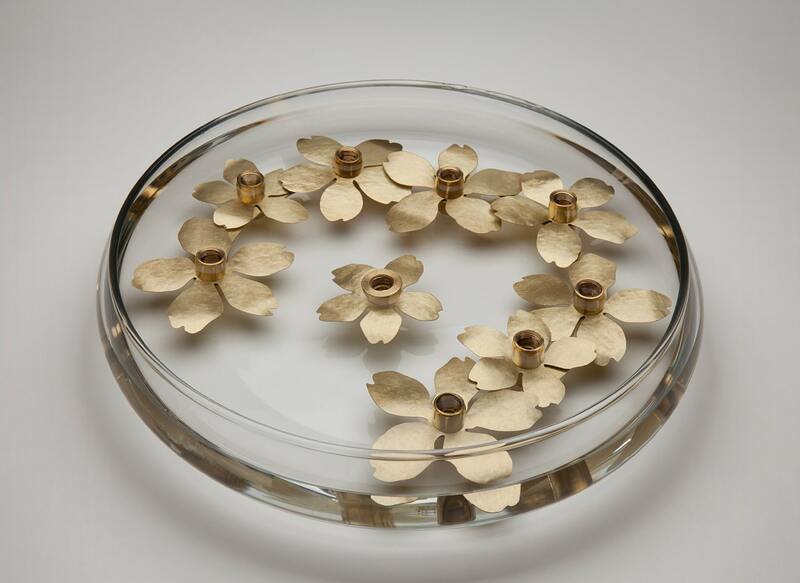 Note: this is a new variation on the original limited edition Water Blossom Menorah, which has sold out! Individual blossoms are arranged by you!